Snip-its is a full-service hair salon for kids services the Tempe, Mesa, Gilbert areas of Phoenix. Kids love going to Snip-its for the interactivity and entertainment, providing parents with a stress-free experience. 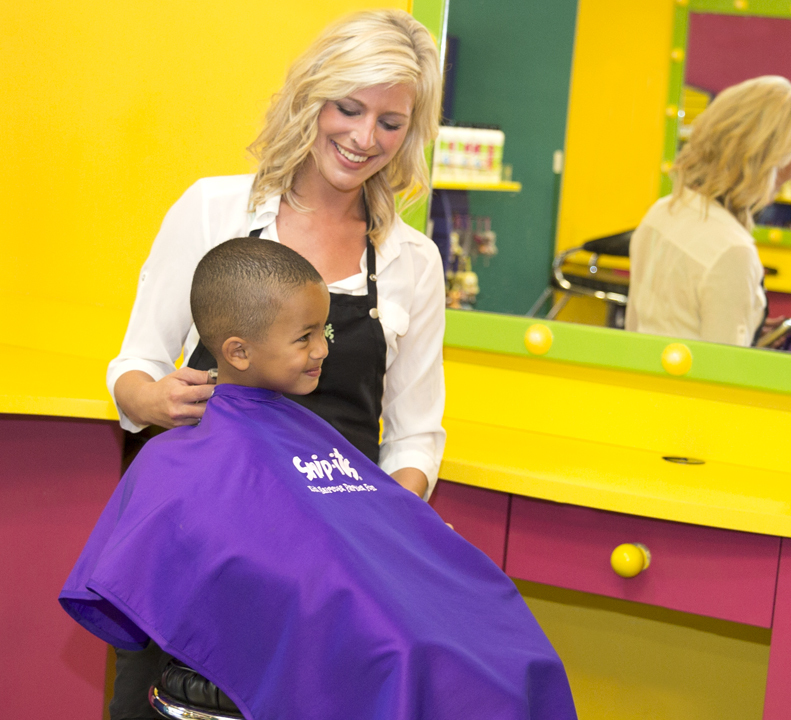 We Speak Kid™ at Snip-its of Chandler, AZ, so everything in our salon is designed to entertain your child, making the haircut experience fun! With our interactive games, spa, and birthday party packages, kids are always eager to come back to Snip-its. Kids love us so much, we also offer ear piercing, branding, and value packs! Drop by Snip-its at the Chandler Village Center at your and experience the magic with your child. $140 for up to 4 kids, $35 for each additional child.